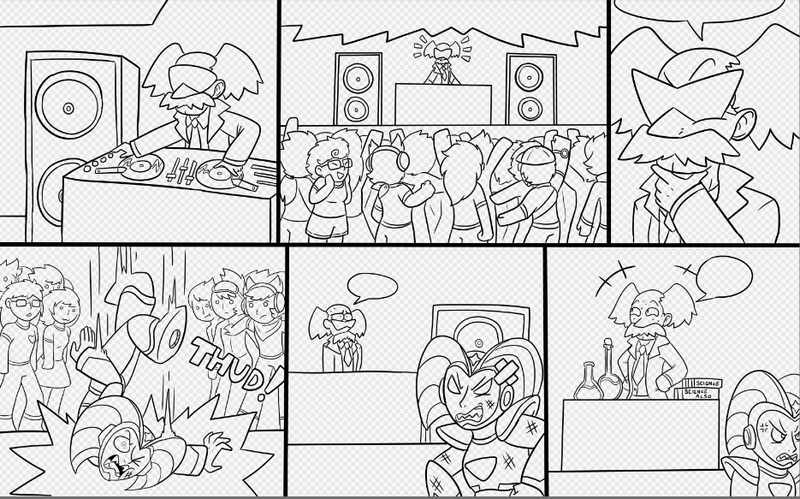 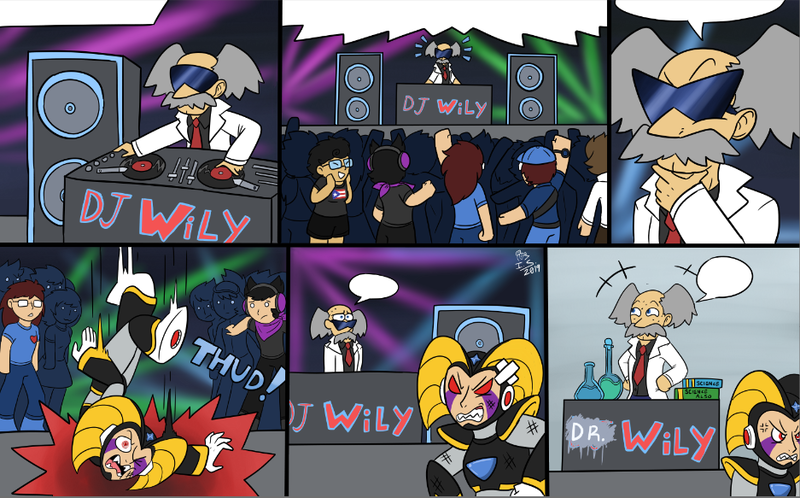 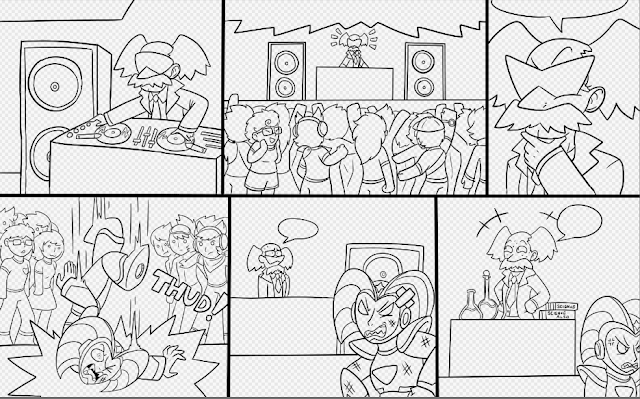 Mega Man World Comics: DROP THE BASS!! 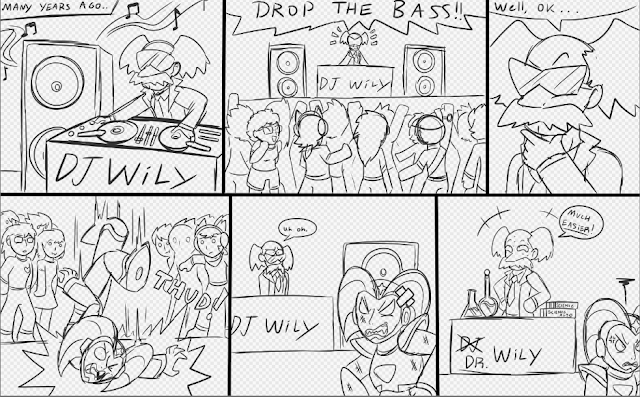 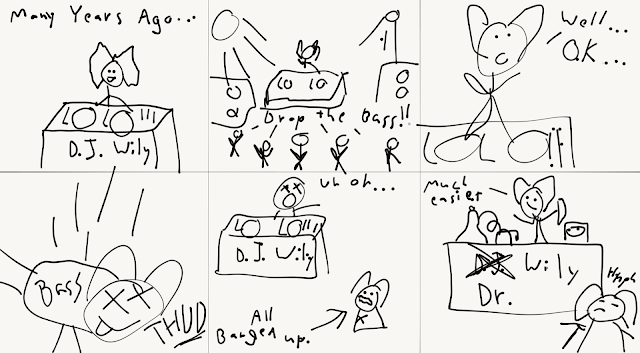 I was hanging out in the ultra secret members only channel of the Comics Artists on the Discord and The Letter W said she was going to think up some new puns for comics... and I said like drop the Bass? 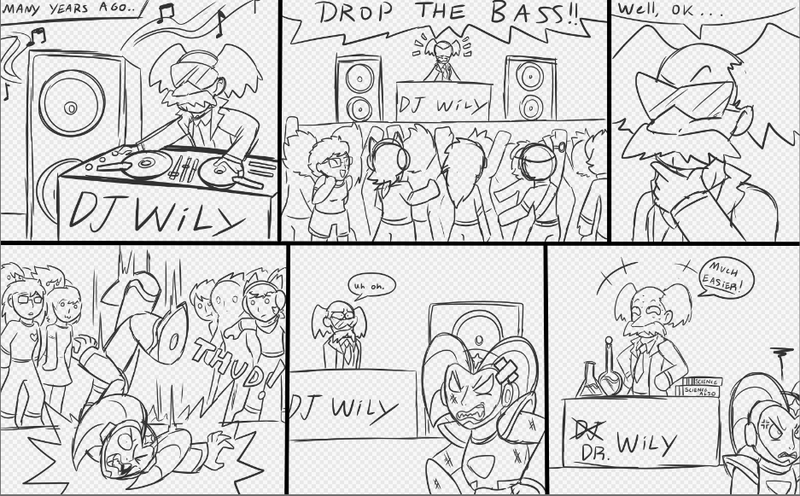 Then I thought that I should sketch something up for that, and here we are, my vision come to life masterfully by Canary. 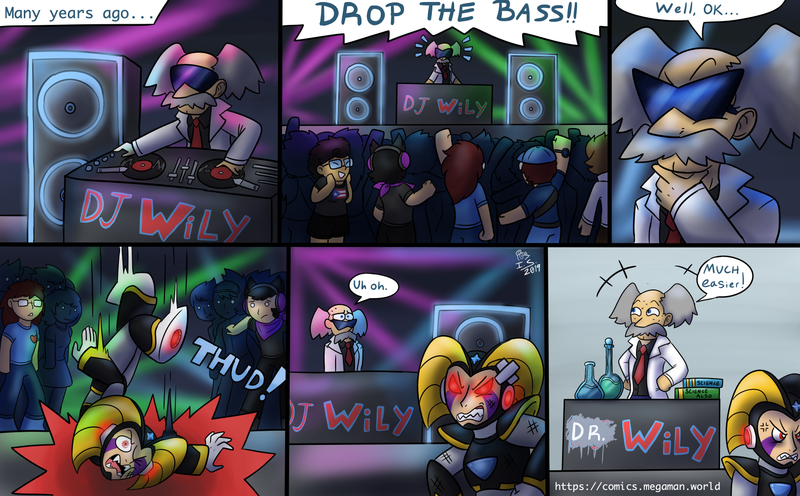 - E.D.